For money managers requiring the best of features! Introducing Platinum, a version of Stator designed to cater to the demands of enterprise installations, multiple users, user roles, increased security, compliance and more. Platinum is the perfect version for corporations or individuals seeking an enterprise level experience. 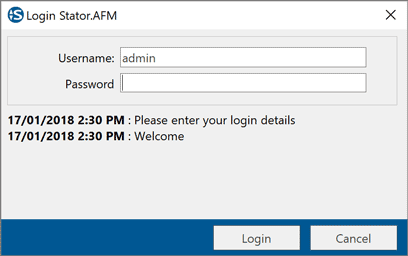 Access Stator functionality using different user accounts. 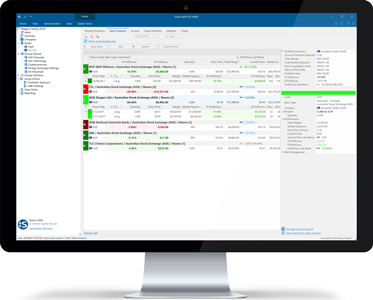 Control who has access to your valuable portfolio data. Define user roles and permissions for each user and/or access level. Platinum gives you complete “Role based access control” (RBAC). Two levels of audit tracking allow you to keep track of all data changes and all times. Stator Platinum is perfect for compliance. Manage assets in over 50 different currencies and have values reconciled into a base currency per Estate. Platinum supports both a local-embedded database as well as a client-server architecture. Store your portfolio data in a network central location. White label Stator Platinum with your own branding. Use our platform but display your own branding to clients and users. The entire suite of Stator products is feature-rich and Platinum includes all the best of our time-tested features. When you subscribe to Platinum you get the best. Manage an unlimited number of Estates and sub-portfolios within Estates. Unitise your performance so you can compare apples and apples! Create groups of investments to track performance at the micro level. Create unions of groups to give you ultimate visibility of your performance. Want to learn more about Stator Platinum? Contact us directly to find out more about Stator Platinum and how it can solve all your trading, investment and tracking needs.